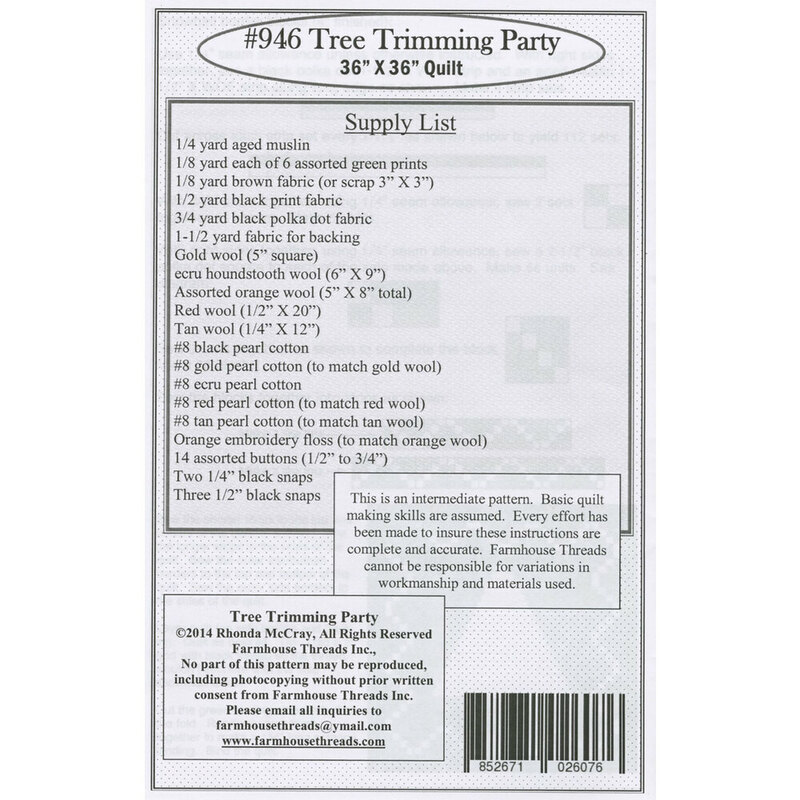 Create the perfect frosty addition for your home this holiday season with the Tree Trimming Party Quilt from Farmhouse Threads! 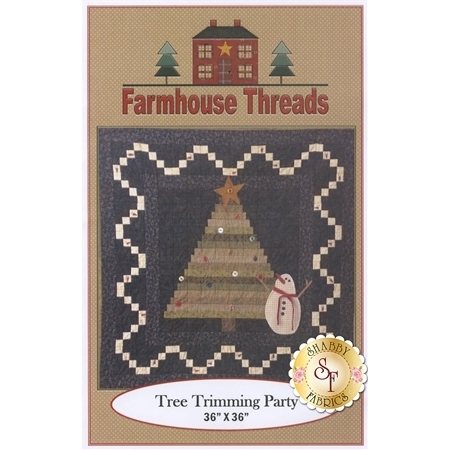 This quilt measures 36" x 36" and features a festive Christmas tree surrounded by a snowman and a pieced border. Look close: some of the squares on the border are little snowman faces!